Hearing aids will always make life better – is that a true statement? 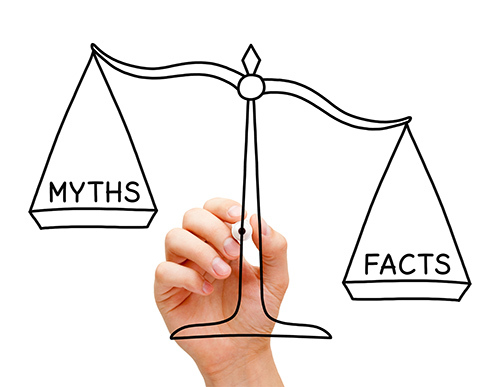 Like most medical devices, there are larger than life myths surrounding hearing aids. Which ones are right and which ones are wrong, though? It’s difficult to know because there is such a wide range of hearing aids on the market and hearing loss is a complicated topic. What do you think? Do hearings aids make life better? They do for most people, however; they don’t work for every kind of hearing loss. Consider five more myths about hearing aids that are plain wrong. Some styles of hearing aids are unique and, perhaps, a little dated, but the technology has come very far in the last few decades. Modern hearing aids come in brilliant colors that should make you feel anything but old. They are also available in stealth designs, so no one even has to know you are wearing one. Hearing aids are a practical choice for most levels of loss, not just those almost profoundly deaf. Studies show the even mild hearing loss has a considerable impact on thinking and brain health. Hearing aids provide filtering and amplification, too, so, if even the hearing loss isn’t severe, having them helps make things better. This is a common misconception. The problem is that you don’t just hear in one ear, so even if your loss is more pronounced on one side, get two hearing aids to localize the sound. It’s just confusing if the hearing on one side sounds different. That is the primary function of a hearing aid, but not the only one. Today’s modern hearing aids do many amazing things. They measure the amount of amplification you need based on the volume and quality of the sound, for example. A soft voice is just as clear as the TV show you are watching. Hearing aids are able to filter out background noises, too. Environmental sounds are a problem for those with a hearing impairment. Something as basic as a fan may block out all other sounds. Hearing aids can filter out that fan noise, so you hear people talking to you. Many hearing devices come with directional microphones, as well, so those days of trying to figure out where a sound is coming from are over. Nothing could be further from the truth. Today, many hearing assistance devices are Bluetooth ready, so they are designed to connect to your phone, tablet or computer just like any audio equipment. May also have microphones built into them, letting you can talk on the phone hands-free. The proper provider will consider different things before making a list of hearing aid recommendations for each customer. They look at your hearing test, for example, to determine your level of hearing loss. They consider what you do for a living and what features like Bluetooth might work well for you. Your job is to ask questions so you can make an informed decision when buying hearing aids and not be fooled by the myths.